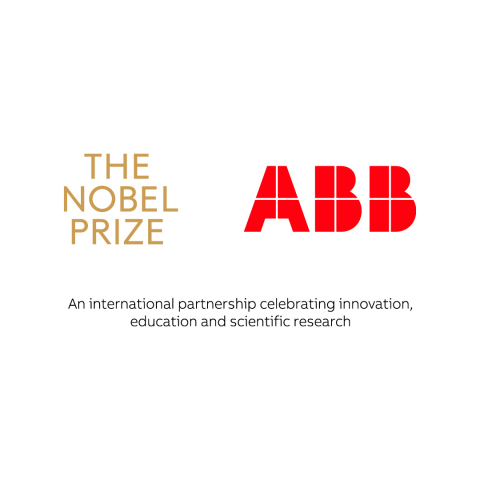 ABB and Nobel Media today announced an international partnership, bringing together two respected organizations committed to the development of innovation, education and scientific research, making ABB one of a select group of Nobel International Partners. Nobel Media, an entity within the Nobel Foundation, extends the reach of the Nobel Prize to millions of people around the world through inspirational events, digital media and special exhibitions and activities related to the legacy of Alfred Nobel and the achievements of the Nobel Laureates. Through these activities and events – including global Nobel Prize Dialogue gatherings – Nobel Media reaches and engages students, decision makers and a curious general public around the world. The ABB-Nobel Media partnership aims to share knowledge broadly, inspire people to engage in science and shed light on our time’s greatest challenges. As a pioneering technology leader, ABB will bring deep scientific and innovation experience and commitment into the partnership. “The Nobel Prize stands for the power of ideas and the making of a better world through knowledge and science. Committing to these values is more important than ever, a responsibility we share with ABB,” said Mattias Fyrenius, Chief Executive Officer of Nobel Media. “In order to handle our time’s greatest challenges, strengthening the ties between the business community, policy makers and academia is key, which makes me proud to announce the partnership with ABB”. Nobel Media’s events and activations include thought-provoking conferences, lectures and exhibitions globally as well as engaging content through broad-reaching digital channels. The next Nobel Prize Dialogue – which brings together Nobel Laureates, world-leading scientists, policy makers and thought leaders from around the world – will be held in Santiago, Chile in mid-January 2019. For more on the announcement, please watch the video. Nobel Media spreads knowledge about Nobel Prize-awarded achievements and stimulates interest in science, literature and peace in line with Alfred Nobel’s vision and legacy. The company reaches a global audience of millions through its high-quality productions: The official digital channels of the Nobel Prize, the Nobel Prize Concert, as well as a series of intercontinental, inspirational lecture events featuring Nobel Laureates. The company also manages a portfolio of publishing licenses, footage sales, and live broadcast rights to the Nobel Prize Award Ceremonies.